Grow-It is a compact personal greenhouse that promises quality construction at a great value. Built with an all steel frame supporting a durable translucent heat-bonded triple-layer cover that is waterproof and UV-treated inside and out. This cover is designed to protect and provide for your plants. A great greenhouse for someone who doesn't really think they will be a long term greenhouser. In most part because it will usually last two or three season. The quality is somewhere between throwing a plastic tarp over a tent frame to a basic hobby greenhouse. 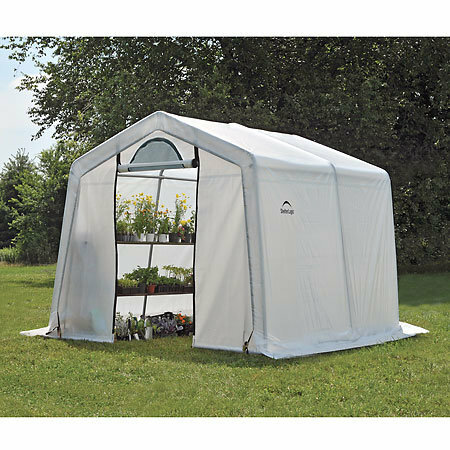 One thing to consider is that for the price ($250) you could spend a bit more money and get into a smaller Brighton or Poly-Tex greenhouse.